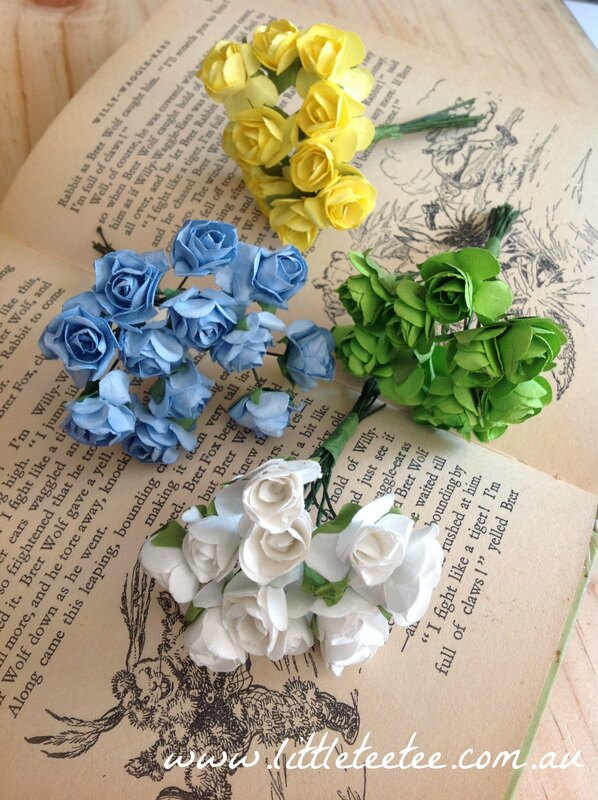 These pretty paper roses are ideal for your scrapbooking, halo making or floral crafts. 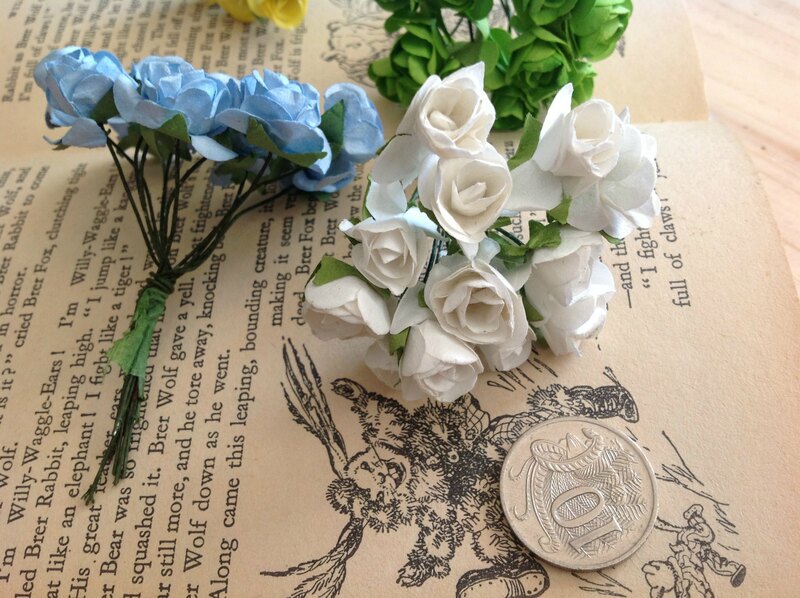 Each bunch of roses can be split into 12 separate stems. Size: approx 1.5-2cm wide x 7cm long. $3 Postage/handling is added at checkout, sent regular post. Parisian applique. Black or off-white x1.